Why are all the female pronouns longer than the male equivalent? So, basically, pronouns for individual males are shorter than for females. Male is shorter than female. He is shorter than She. Man is shorter than Woman. Guy is shorter than Girl. So basically, all of the female pronouns are simply add ons to the male version. Interestingly, this is not the case when it comes to family relations where female names are shorter than the male counterparts (like wife and husband, or brother and sister; same with aunt and uncle; niece and nephew as well). It’s not perfect thought grandpa and grandma are equal. But when it comes to families, they are either equal or even shorter for females (e.g., aunt uncle, niece nephew). Is this a subtle way to assert gender differences? Specifically male dominance outside of the family, while females are more powerful within the family? It is the case that more powerful, more useful, words are generally shorter.. 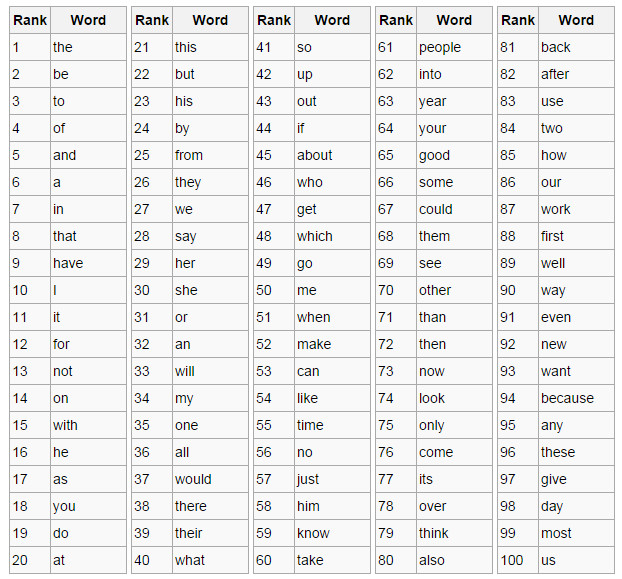 These, the most common, and powerful words in our vocabulary are also among the shortest. Would females, and males, do better to rename the genders with neutral, equally long, pronouns? It seems like a good opportunity to redefine what it means to be male and female. Should they sound feminine and masculine, or no? On the one hand, there ARE differences between males and females and that is legitimate and ok and even good (we can’t all be as risky as men, but as also can’t all be as moderate as women). On the other hand, it reinforces those differences that are there and that could be detrimental to change. Perhaps it is best to create completely new pronouns? There have been pushes to use zir and ze as gender neutral pronouns, but it seems good for males to have their own and for females to have their own as well. Perhaps hap and hep? Quahm and Quoum? Ying and Yang? I don’t know what the new words should be (let’s discuss it in the comments), but it seems that everyone could benefit from switching things up.. Females could get rid of the aspects of being female that they don’t like, and males can as well (because there are downsides of being a male as well). Importantly, if there were such things as gender neutral pronouns, it could be used in all contracts, and it could be ensured that they, the zir (the human) gets paid the same. Changing the words would also serve as a direct way for individuals to pick up feminist/ equalist ideals and display their beliefs through the use of these new, more modern, more equal, pronouns. It is a solid, decisive step forward, a break from the tradition. Remember to be opined friends, because your opinion matters.